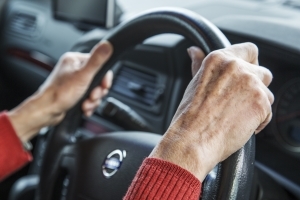 Older drivers have higher rates of fatal crashes, based on miles driven than any other group except young drivers, according to the Insurance Institute for Highway Safety (IIHS). The high death rate is due in large part to their frailty. Older people are less likely to survive an injury than younger people. It isn’t unusual for adult child caregivers to be faced with this dilemma: Mom or dad is no longer safe to drive, for reasons that could include physical or mental deterioration. But they refuse to stop driving, and won’t give up their car keys. This can be a tricky thing for an adult child to navigate—and losing driving privileges can be devastating for an elderly person. It represents losing their independence, and that can be very hard to accept. However, when your parent’s life is on the line—not to mention those of other people on the road—there may be no getting around it. A frank conversation with your parent is the place to start. If you present it the right way, you may not face the problem of your parent refusing to let go of the keys. Bring your medical documentation. It can be tempting to bring up the latest scary driving experience you had with the parent and how worried you are, but that could just make them more defensive. Instead, stick to the facts—your mom’s failing vision, your dad’s chemotherapy, or whatever mental or physical condition is impairing the parent’s driving. Have the medical documentation handy. Offer Alternatives. Losing the car keys means losing independence—and that can be scary for anyone. If you can present alternatives, it may help your parent accept the decision. Look into community ride-sharing organizations or transportation services for seniors, the public transportation routes to places where your parents often go, or have a plan in place for friends and family to provide rides. Make sure your parent knows they can still get out of the house and do the things they love. Under the Americans with Disabilities Act (ADA), senior citizens must have access to basic transportation services. That means that any city providing public transportation in general must also offer paratransit or transportation services for people with disabilities. This service must be equivalent to the public transportation services available to the public at large in terms of days and hours of service, as well as response times. It could be worth it to look into the options available for the elderly in your area. An average of 586 older adults are injured every day in crashes. Of course, you can prepare as well as possible, and the conversation still may not go as you hoped. You could just take the parent’s keys anyway; however, this could damage your relationship with your parent, and it could also have legal consequences. There have been documented cases of the parent reporting their car stolen after an adult child took the keys away. If you want to avoid a messy situation, here are a few things to try next. Ask your parent’s doctor for help. If the doctor, optometrist, or ophthalmologist tells your parent they are no longer safe to drive, your parent may be more likely to listen. The doctor can also fill in a medical status report that can be given to the DMV in your state. Talk to your DMV. You can go to your DMV directly and ask them to give your parent a new vision test, paper test, and even a driving test with an inspector. You may need the medical report from your doctor. The inspector can then determine whether your parent is still roadworthy. You don’t have to wait until the parent’s driver’s license is up for renewal; you can make this request at any time. In some states, you can ask the DMV not to release the name of the person who requested the test. Ask your attorney for help. There could be serious financial and legal consequences if your parent gets into an accident and injures someone else. You could ask the family lawyer about the dangers to your parents’ estate and your inheritance should that happen. This might be more persuasive to your parents than your request alone. It can be difficult to ask your parent to give up the car keys—and it can be a major blow to them to lose that independence. However, it may be necessary—both for your parent’s safety and the safety of others on the road. Talk to your lawyer, doctor, or the DMV for help if you need to—and hopefully you can keep your parent and other drivers safe. You may be able to get non-emergency ambulance transportation if such transportation is needed to or diagnose your health condition and the use of any other transportation method could endanger your health. In some cases, Medicare may cover limited, medically necessary, non-emergency ambulance transportation if you have a written order from your doctor stating that ambulance transportation is necessary due to your medical condition. Even though a situation isn’t an emergency, ambulance transportation may be medically necessary to get you to a hospital or other health facility.